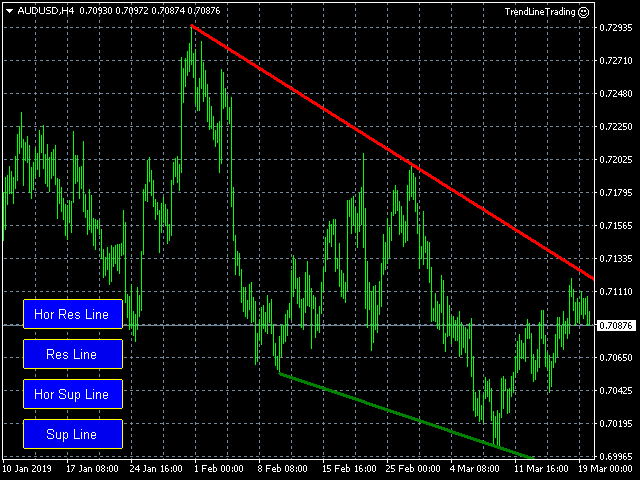 If you use Resistance and Support Trendlines in your trading, this tool will be very useful for you! The Trendline Trading EA is a smart and easy tool to helps you in your trading using trendlines on your chart. Just create a trendline for the Resistance and Support, and the EA will create pending orders when the price touch the trendline. Hor Res Line: This button will create a horizontal Resistance Trendline. The line will be placed at the highest value of the last 200 bars, but you can move the trendline to any position you like. Res Line: This button will create a Resistance Trendline, based on the most recent highest values. 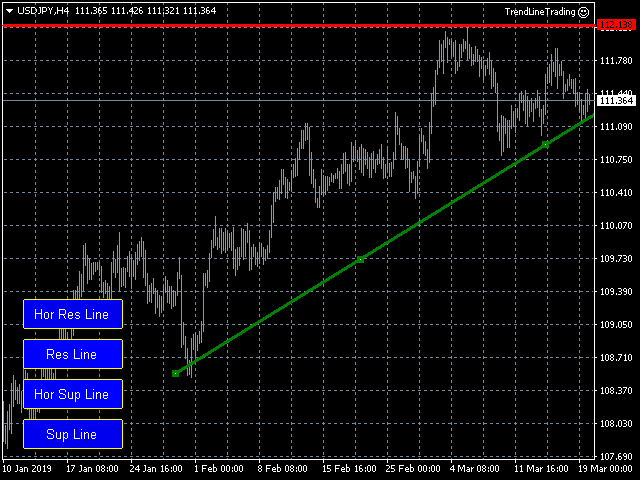 You can change the position of the trendline, just like any other MT4 trendline. Hor Sup Line: This button will create a horizontal Support Trendline. The line will be placed at the lowest value of the last 200 bars, however, the trendline can also be moved on the chart. 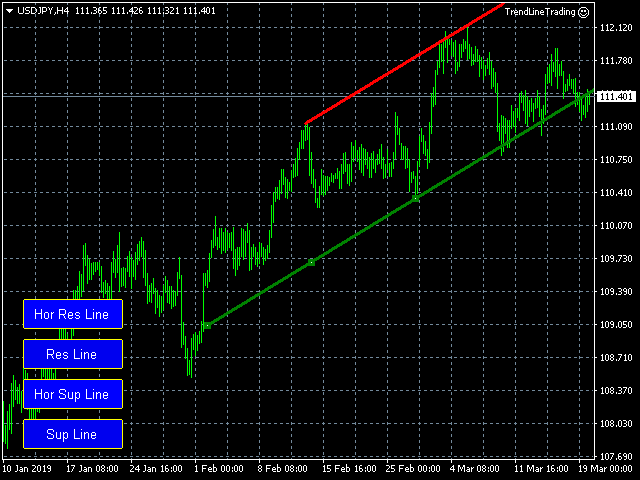 SupLine: This button will create a Support Trendline, based on the most recent lowest values. 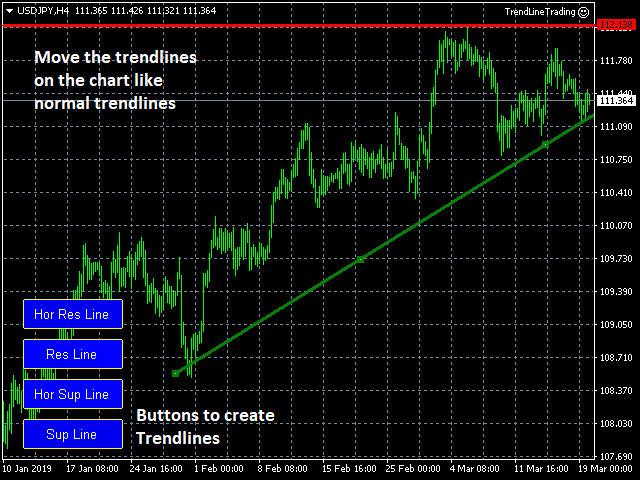 You can change the position of the trendline, just like any other MT4 trendlines. 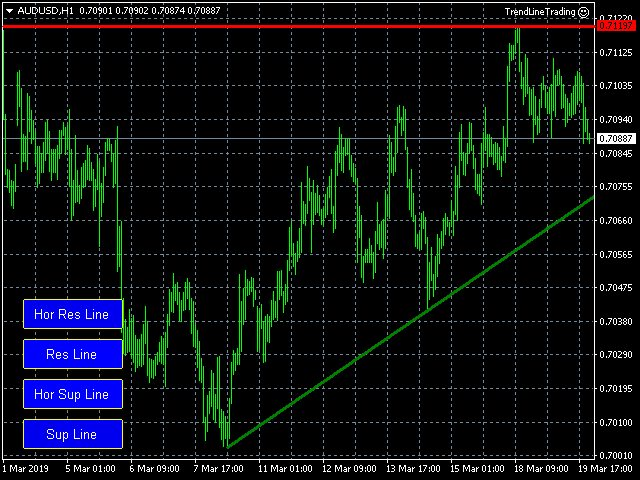 Resistance Trendlines will be Red, and the Support Trendline will have a Green color. As soon as the trendlines are created, the EA will create the pending orders when the price touch the trendline. You can create a Resistance and Support Trendline, but you can also just create a Resistance Trendline or a Support Trendline. Magic Number - This magic number is used for Reversal orders. Breakout orders will have the next consecutive number (=Magic Number+1). 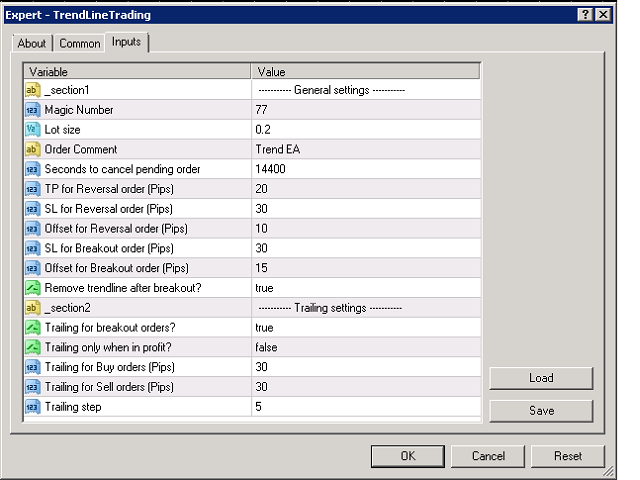 - Now it is possible to specify a TP for the Breakout Pending Orders.